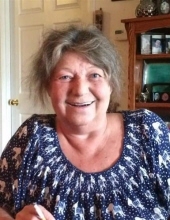 Mrs. Rosemary C. Irish, age 60, passed away unexpectedly at her home August 12, 2018. She was born in Burlington, June 14, 1958, daughter of Richard A. Wilbert, Sr. and Arlene (Murray) Wilbert. Rosie worked for many years as the purchaser for the Motorola Corporation. She enjoyed doing crafts, making jewelry, traveling and spending time with her many friends. Rosie is survived by her father Richard A. Wilbert, Sr. of Burlington, her brother Richard A. Wilbert, Jr. and his wife Susan of Burlington, and her niece and nephew Jessica and Matthew Wilbert. She was predeceased by her mother Arlene in 2013. A Celebration of her life will be held on August 30, 2018, from 6:00 to 9:00 PM at the St. John’s Club, 9 Central Avenue, Burlington, VT. Arrangements are entrusted to the Brady & Levesque Funeral Home, where online condolences and memories may be shared at: www.bradyandlevesque.com. To plant a tree in memory of Rosemary Cathy Irish, please visit our Tribute Store. "Email Address" would like to share the life celebration of Rosemary Cathy Irish. Click on the "link" to go to share a favorite memory or leave a condolence message for the family.